Apparently, the researchers did some adjusting of their own. According to the Texas Department of State Health Services(DSHS), maternal mortality rates have been alarmingly increasing for years. That “modest increase” lead researcher Marian MacDorman imagines, was a huge increase. In 2000, the MMR was 10.5 maternal deaths per 100,000 live births (equating to 30 tragic deaths). By 2009, this rate had nearly tripled to 28.9 maternal deaths per 100,000 live births (resulting in 116 deaths). That’s a “modest increase”? In 2010, the MMR actually decreased to 24.6. Then, MacDorman et al claimed: “Texas had a sudden increase in 2011-2012.” If by sudden they mean over ten years of significant increases…sure. They completely ignored the fact that from 2010 to 2011, the MMR rose from 24.6 to 30.7 (an increase of about 25%). From 2011 to 2012, the increase was only 3%, rising to a rate of 31.6…not doubling! That didn’t stop Slate.com and a host of media outlets from declaring: “After Texas Slashed Its Family Planning Budget, Maternal Deaths Almost Doubled.” In 2013 it rose another 25% to 39.5 (claiming the lives of 153 women). Here’s the clincher. Texas’ MMR dropped in 2014 in rate and total maternal deaths. Neither the “peer-reviewed” study nor any of the leftists in the news media mention this. They’re not comparing apples to apples. 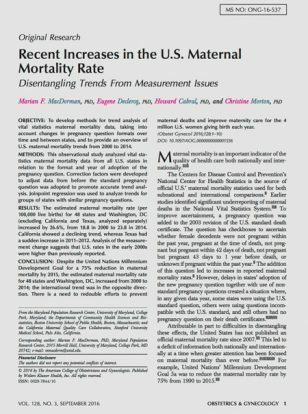 For instance, the MMR study contrasted the allegedly declining maternal mortality rates in California to Texas’ rates. (I find this almost comical considering California doesn’t require reporting of its alarming 200,000 plus abortions each year. Yet, we’re supposed to trust these abortionists to report causes of death accurately?) California’s MMR includes only those maternal deaths within 42 days postpartum. Texas includes maternal deaths up to one year postpartum in its MMR statistics. Just as with abortion, black women experience hugely disproportionate maternal mortality rates in comparison to their percentage in the population. What the MacDorman study, or any pro-Planned Parenthood mainstream media outlets, won’t tell you is that the MMR of black women skyrocketed long before Texas defunded a Medicaid-defrauding abortion chain (Planned Parenthood paid $4.3 million for filing false Medicaid claims in Texas). In 2001, the maternal mortality rate of black women in Texas was 27.1; it more than doubled to 65.4 by 2006. Fluctuations in MMR continued but the MMR rose exponentially to 90.5 in 2011, all while Planned Parenthood was operating its network of abortion centers and abortion referral shops across the state. So from 2001 to 2011, the rate more than tripled! The MMR increased slightly to 92.8 in 2012 and decreased in 2013 to 88.4. Every life lost matters. I won’t trivialize these deaths. It’s despicable how pro-abortion activists have ignored all of these facts and exploited these tragedies just to create an easily disproven false narrative. In fact, the Maternal Mortality and Morbidity Task Force (created in a bipartisan effort by those same evil Republicans who defunded Planned Propaganda) found that the major causes of maternal deaths in 2011-2012 were: cardiac events (20.6%), drug overdose (11.6%), hypertension/eclampsia (11.1%), hemorrhage (9%), sepsis (9%), homicide (7.4%), and suicide (5.3%). Not one of the articles I read from mainstream media about Texas’ maternal mortality rates ever discussed the comprehensive Healthy Texas Women program. 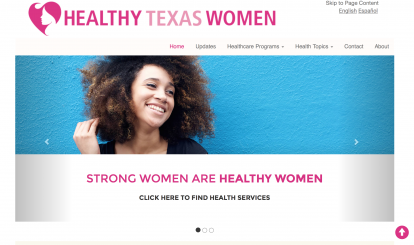 Originally launched as the Texas Women’s Health Program in January 2013, this initiative was borne out of the reallocation of monies from billion-dollar Planned Parenthood to federally qualified health centers and other real medical facilities statewide. The previous Medicaid program funded 300 facilities. The new HTW program funds 3,000. The Houston Chronicle’s unsurprisingly biased article includes a quote from Democrat Armondo Walle who laments that “something needs to be done to increase access to pregnant women” and that Texas is “letting federal dollars go to other states while these women are dying”. You’d think that one of Texas’ largest news organizations might mention the abortion-free HTW program which provides the full range of reproductive and general healthcare for low-income women and their families. (I’ll reserve discussion of the physiological consequences of hormonal birth control for another article). So-called ‘progressives’ would rather perpetuate the whole lack of access myth instead of informing the public about expanded access. The only thing that has truly doubled is the effort by a propagandistic movement, and the media that enables it, to play the victim. The abortion centers that were closed down were failing women for years. Planned Parenthood’s billion-dollar presence across Texas and the rest of the nation hasn’t reduced maternal mortality. 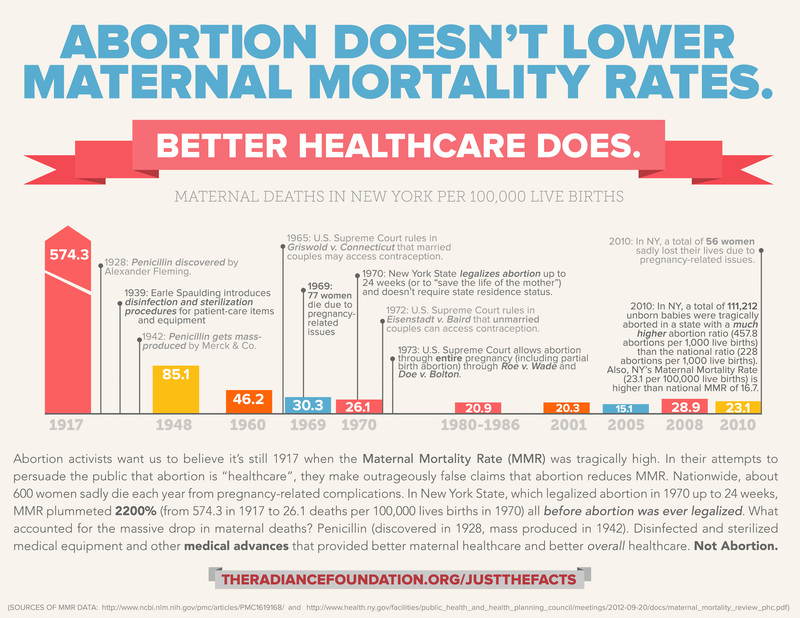 In New York City, where the abortion chain was (tragically) birthed, maternal mortality exponentially plummeted (see this factsheet) because of advancements of medical science and better healthcare long before contraception and abortion were legalized. Better healthcare. That’s what women—what we all—want. No matter what academic elites write in their politically-driven journals, Texas continues to lead in valuing every human being and finding life-affirming solutions to solvable problems.